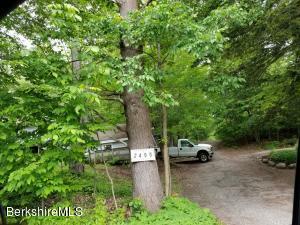 Prime Lake Ashmere Waterfront 1.2 Acre building lot with 103 ft of waterfrontage. 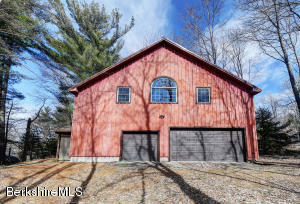 Lot currently houses a quality built 2,400 ft metal roofed carriage house type garage boasting multi-car garaging, workshop, indoorbasketball court and large loft living space with putting green, full bath, wet bar and office area with built in drafting desk table. Build your dream home or renovate current building to your liking. Possibilities are endless. Put your dock in and enjoy the westerly sunset views while you dream of your forever home or vacation get-a-way on this pristine 217 acre lake. Fishing, boating, or swimming are just a few of the endless activities for your enjoyment. WATERFRONT home with second level master suite with fireplace and views of the LAKE. 95' of LAKE frontage. Views of the LAKE lower level sun-room and attached open deck. Two bedrooms and full bath on first floor with open concept living/kitchen/dining space. 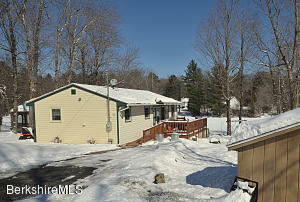 Year round home or seasonal LAKEHOUSE. The Best of the Berkshires! 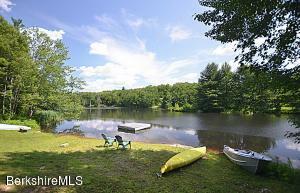 1940's camp w/360' of lakefront & 1/2 acre on state owned 418 acre lake. Magnificent waterfront property offering 360' of shoreline stabilized in 2010 w/shoreline stone. Southern exposure offering sunshine all day! Sweeping views of The Berkshire mountains. This is a place you will never want to leave! Secure your own piece of one of the few pieces of nature's wonders available for private ownership. Camp offers large open living, dining/kitchen & 2 good sized bedrooms. Large sunporch overlooks the lake, mountain views & the most amazing sunsets. 1-car garage & partial basement. Town water & natural gas in camp. Mass MoCA 20 minutes away. Less than 45 mins to Mass Pike Connection. Close to Jiminy Peak Ski Report. Once in a lifetime opportunity! 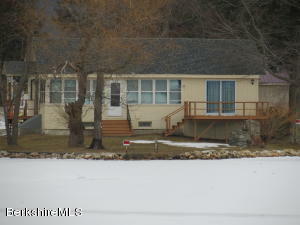 Waterfront home, tucked away on Excalibur Lake, a small and deep non powerboat lake. Open floor plan with water views. Large sunroom overlooking the lake and beach area.. Deck, swimming platform, beach area, greenhouse, raised garden beds and oversized 2 car garage, Two bedrooms, bath w shower. Current owner has lived here year round since 1997. Private location. WATERFRONT PROPERTY located on the backside of Pontoosuc Lake. Currently a unique two family flat. Fireplaced first floor unit features 2 bedrooms and a full bath. Second floor unit has three bedrooms one and a half baths, and a deck with spectacular views. 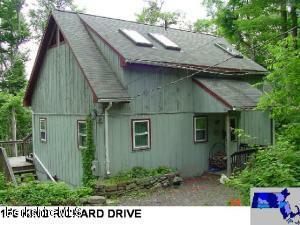 This would be a great investment property, family compound or home with supplemental income. Kayak, paddleboard or just relax... Many updates through the years. Property has been very well maintained. WATERFRONT PROPERTY located on the backside of Pontoosuc Lake. Unique two family flat. Fireplaced first floor unit features 2 bedrooms and a full bath. Second floor unit has three bedrooms one and a half baths, and a deck with spectacular views. 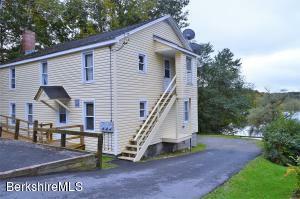 This would be a great investment property, family compound or home with supplemental income. Kayak, paddleboard or just relax... Many updates through the years. Property has been very well maintained. $500 buyer agent bonus at closing.Owner says bring me an offer and lets negotiate. WATERFRONT PROPERTY without the big price tag. Just over 100' of water frontage.This would be an excellent investment. Make this one your own. Room for a dock and patio on the water. Stand alone garage can accommodate all your summer and winter toys. Close to Jacobs Pillow, Tanglewood, Lee shops and the many artists in the area. Property to be sold as is, where is. 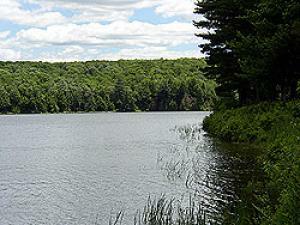 Secluded, private waterfront building lot. 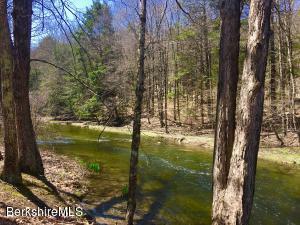 A rare and most wonderful opportunity to build your riverfront dream home with 475 feet of frontage along the Williams River. Driveway roughed in, and Perc test done in 2014.